…but I prefer to play basketball rather than watch it. That being said These multi player trades always struck me as odd. A Basketball team’s roster is what 13 players. And these teams are trading 4 guys each? That would be like the Red Sox sending 7-8 players with the Cubs. If you’re going to do that why not just switch teams and be done with it. With 70% of black babies born into unwed homes, and with more black men in prison than in college, the black family is in crisis. It’s no secret. I’ve written about it, Pres. Obama has talked about it, many black leaders have addressed it. At the very root of the problems in the African American community is fatherless homes. A child needs a father. I think we can see in the inner city what happens when a father is not there. A child finds itself lost. To repair the black family it is essential that we bring fathers back into the home. The question has always been, how do we do that? Please go and view the episodes. They are brief excerpts. From the first minute of the first one, I had tears rolling down my face. The series is a journey of black men who never knew their fathers, finding them, and spending a week with them. In this journey we not only learn the importance of fathers, but also about forgiveness and healing. I don’t think we can measure the hole in the hearts of fatherless children. Knox’s experience is not about drugs or prison. He was a marine, and he has found his way in life without his father, but many men who see this show, no matter what dire circumstances they are in, will be able to relate to either leaving their children or being left. Even with being a good man, Knox still yearns for his father. Let’s face facts, the black leadership is too busy protecting political prerogatives to care about this problem. Only the actual community can solve it and Knox’s efforts are a step in that direction. How can you help? James. Knox’s hope is to get either a Network / Cable deal, or find a Corporate Sponsor to fund 26 episodes and sell the project in Syndication. I’m just one small voice, so I need your help to spread this message. Tweet it, e-mail about it, facebook it. We need to get the attention of someone in the Network or Cable business. Ok guys let’s go for it! Market Basket knows what day it is! For having this picture in their window. Market Basket is handling this exactly the right way. 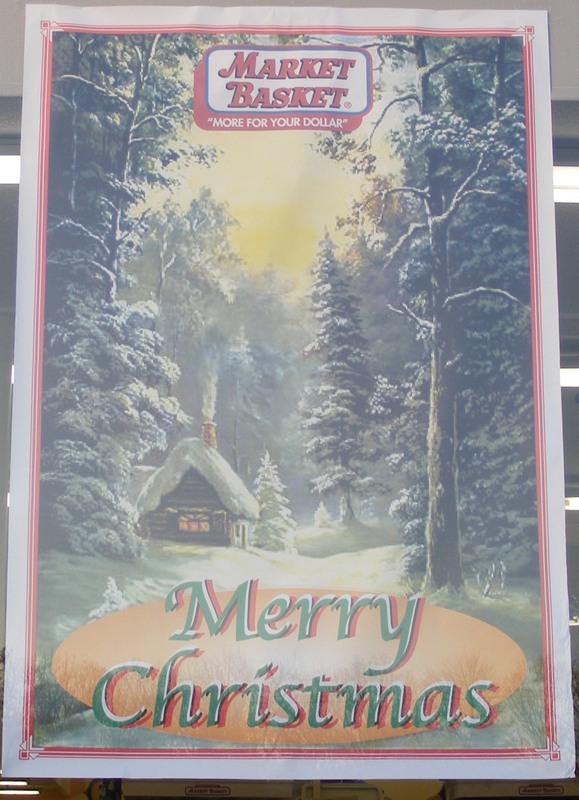 By putting a sign that explicitly says Merry Christmas they are eschewing the political correctness that has frightened and intimidated the multitudes. What many business don’t understand is that by trying to placate a vocal and angry minority they actually upset the vast majority of customers who have many other alternatives for shopping. When I see “Happy Holidays” as opposed to Merry Christmas I am inclined to spend my money elsewhere and I’ll wager a lot of other people are too. 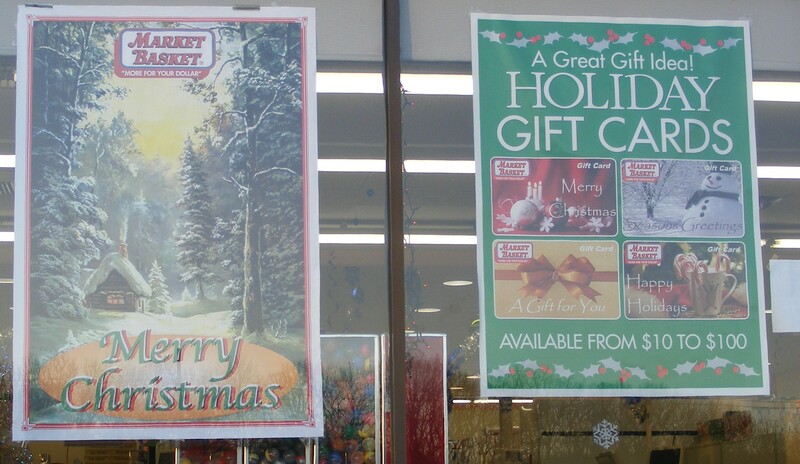 This allows everybody to take a deep breath, the explicit Christmas poster allows them to say “Happy Holidays” elsewhere without insult because of the acknowledgment of the actual federal holiday that the country celebrates. Would that more business’ had that degree of courage and common sense.